Jupiter Waterfront Homes for Sale Real Estate Listings are listed below. Search all Jupiter waterfront homes for sale with photos and videos. Oceanfront to Riverfront to canals providing water access the Jupiter Waterfront homes for sale have it all. Jupiter Waterfront Homes for Sale are mainly single-family homes, though there are also condos and townhomes available. There are a variety of sizes to suit every budget and lifestyle need. Many Jupiter Waterfront Homes for Sale are upscale, multi-million estates that offer expansive living space and luxury amenities. Waterfront condos range from cozy 2 or 3 bedrooms to spacious 6 or more-bedroom homes. Many condos have boat slips included. 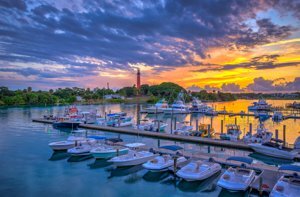 When searching for Jupiter Waterfront Homes for Sale, you are sure to have gorgeous views of the river, Intra-coastal or the ocean from your windows. Experience spectacular sunrises and sunsets in the comfort of your home. Future residents of Jupiter Waterfront Homes for Sale have access to a variety of outdoor recreation that takes advantage of the sunny Florida days. Boating is a popular local activity, especially the gatherings on the sandbar leading out to the inlet. 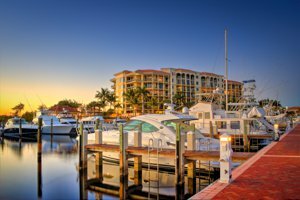 Jupiter Waterfront Homes for Sale have easy access to other waterways for fishing, diving, jet skiing, paddle boarding, and more. Carlin Park’s beach has a picnic area, playgrounds, an amphitheater, and tennis courts. Riverbend Park is one of Florida’s most breathtaking parks. See how many local wildlife creatures you can spot while taking a stroll or biking. Visitors can also ride horses on the trails or spend an afternoon kayaking. For fun on land, visit one of the area’s many golf courses to practice your swing. To cool off indoors, visit Cinepolis, a luxury movie theater located just across the street from Harbourside Place shops. Watch the latest blockbusters in stylish, reclining leather seats and enjoy premium concessions with a full bar. Shopping and dining near Jupiter Waterfront Homes for Sale offer nearly endless variety. Harbourside Place, located on the Riverwalk, is a new entertainment spot. Shops include a luxury pet boutique and clothing brands like Tommy Bahama also with it's own restaurant with fine freshly prepared entrees. These restaurants offer scenic waterfront dining with a variety of cuisines. 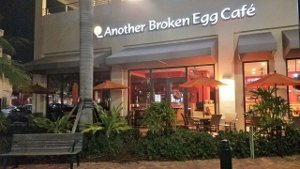 Try breakfast and brunch favorites at Another Broken Egg Cafe, or savor frozen yogurt at Johnny Swirls. Calaveras Cantina serves an excellent Mexican menu and high-quality craft cocktails and beers. Jupiter Square shopping has a Publix supermarket and several local restaurants, including Little Moir’s Food Shack, which specializes in seafood preparations. GET TO KNOW MORE ABOUT JUPITER HERE. Residents of Jupiter Waterfront Homes for Sale are served by the School District of Palm Beach County. There are a number of top-rated programs, including Jupiter Community High School, which make the town a great place for families. Several private schools in the area also offer alternative education. Want all the newest Jupiter Waterfront Homes For Sale sent directly to your email? 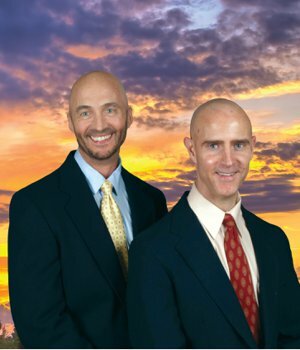 Call, Text or email Thom And Rory Team. Admirals Cove 3 Par E Bldg.